Dogs are predators – but we often don’t really want them to act out those predatory instincts. Some dogs are more “high prey drive” than others. Is it even possible to train a high prey drive dog to live with a kitten? If so, how? Can a dog with a high prey drive be trained to live with a kitten? We introduced our dog to the kitten we’d like to adopt, and the kitten was calm but our dog seemed like she wanted to bite her and shake her like a toy. Well… that’s a good question. When I say “prey drive,” I mean that a dog acts in a way that suggests he really wants to chase, catch, kill, and even eat a prey animal. Of course, we can’t really ask the dog. And we don’t want to sacrifice a cat (or even a squirrel) to find out what the dog really wants. I don’t know why Cats Are Friends Not Food thinks her dog wants to bite and shake the kitten. She reported that her dog was drooling with dilated pupils and could not be distracted with treats, despite normally being very food motivated. That’s definitely concerning. Certain dogs are more likely to have high prey drive – Greyhounds, Terriers and Huskies come to mind. 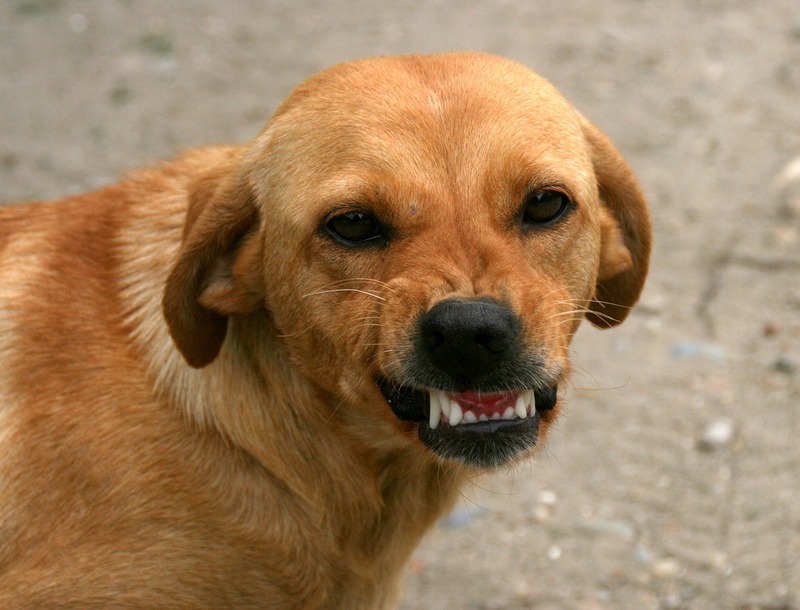 As your dog gets more excited, it’s also potentially more likely for your dog to “tip over” into predatory aggression. It’s kind of like how excited fans at sports events are more likely to get into fights than their office-going alter-egos (alcohol intoxication aside, though that’s also definitely a factor). You can see the differences between different dogs and their prey drives even at young ages. Some pups will chase, grab, and shake a flirt pole. Others will stalk it but never bite. My border collie loves chasing things – but when a squirrel fell out of a tree and plopped between his paws, he didn’t pounce. Instead, he lay down – a common herding behavior. The problem for cat owners is that even a dog who just wants to chase can be really stressful for the kitty. A dog that wants to do more is downright dangerous. Can Prey Drive Be Trained Out of Dogs? It’s certainly possible in many cases to teach a dog with high prey drive to safely live with cats. That said, it’s not easy, and it’s not guaranteed. There are some cases where it’s just not going to be safe for your dog and a cat to coexist. It’s not worth the risk. 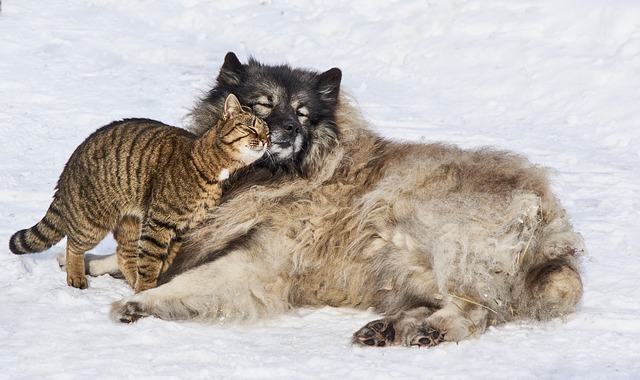 So yes, you can train some high prey drive dog to live with cats – but not all of them. True predatory aggression – especially if the dog has actually caught and harmed or killed a cat in the past – is not an easy fix. If your dog already has that sort of history, I’d be very hesitant to bring a cat home. The margin for error is just too slim. Your goal with a high prey drive dog should be to teach your dog to think through his excitement and redirect the behaviors elsewhere. This is best taught using something other than the cat as “bait” for obvious reasons. How Do You Make High Prey Drive Dogs Safe for Cats? Here’s what to do if you decide that you’re ready to introduce your high prey drive dog to a cat. This entire protocol is outlined in a slightly different case on our podcast, Canine Conversations. Listen here. 1. Use two levels of safety. I suggest using a muzzle (here’s our suggestions for hard-to-fit dogs and our suggestions for feeding treats through a muzzle) plus a baby gate, exercise pen, or tie-down. Most of our dog-cat introductions will take place through a door at first, but once we’re using gates and pens and tie-downs, I want a muzzle involved as well. Even if the kitten is behind a closed door, I’d like a gate or exercise pen involved to make sure no one slips through when a human is going from one room to the next. 2. Practice engage/disengage games with the dog separately from the cat. Start teaching the dog to pay attention to you instead of squirrels and other exciting things. Use the protocol outlined in the video below. You’ll reward your dog for checking in with you at first. Eventually, you’ll ask your dog to “work” around the distractor. Then you can start moving closer. You can also play the Ready, Set, Down game (#11 on the linked list) with a tug or a flirt pole for extra practice around exciting toys. 3. Work on scent swapping. While the kitten and dog are living in separate parts of the house, be sure you swap out their sleeping spaces every few days. You can simply put an old towel on the dog and cat’s favorite resting places to soak up scent, then switch them over. This is an important step because both dogs and cats are much more scent-focused than us humans! 4. Teach the dog to calmly lie on her mat. This is an important basic step. We’ll use your dog’s mat-laying skills later on. Check out Karen Overall’s Relaxation Protocol for an excellent plan to make your dog into a mat-laying SUPERSTAR. 5. Introduce the dog to the sound of the cat. YouTube has plenty of videos of cats meowing. While your dog might not be perfectly fooled by the sound of a YouTube cat, you can start to introduce your dog to this sound in a controlled way – unlike the meowing of a real cat. Start by playing the sound while your dog is calmly lying on the mat, then giving your dog a treat. Do this 30 times. Then play the sound and wait for your dog to look at you. When she does, give her a treat. Do this 30 more times. You can do this around mealtimes with her dinner as a replacement for treats. 6. Introduce the dog to the sight of the cat. Using a baby gate and tie-down, let your dog and cat see each other. The tie-down will help keep the dog further back from the gate. If the cat is likely to jump over the gate, stack the gates or muzzle the dog. See #7 for what happens next. 7. Feed them on opposite sides of a gate. As you’re letting them see each other through the gate, feed them a meal. If your dog won’t eat, you’re too close to the cat. Back up or use a towel to mostly cover the sight of the cat. If she still won’t eat when they’re as far apart as possible, go back to more scent-swapping, games (#2) and sound practice. Over time, reduce the space between the dog and cat. Practice asking your dog to walk with you, respond to training, eat, look away from the cat, and lie on her mat. If she can’t do those things yet, you’re not ready to reduce space between the dog and cat. 8. Practice in the open. One the dog is able to calmly lie on her mat, pay attention to her owners, and eat treats on the other side of the baby gate with the kitten nearby, it’s time to remove the gate. Again, we want to use a muzzle and tie-down for this stage to keep the kitty safe. Now the kitty is able to move about. We’ll keep playing the engage-disengage game (#2) and practice putting the dog on her mat while the kitty moves around. If this is going well and the dog is readily ignoring the cat or calmly noticing the cat, we’re getting close! If the dog is still hyper-fixated on the cat, go back to the last step where you were successful. If things are getting worse instead of better, get help – you might be inadvertently building frustration in your dog. This sounds like a lot – and it is. But with a large dog and a small kitten, it’s far better to be safe than sorry. You might be able to breeze through these steps in just a few days, or it might take months to properly introduce your pets. I’ve worked with several people for months to get their dogs and cats to get along. It’s not always easy! If you’re really struggling, I strongly recommend getting help from a Certified Dog Behavior Consultant nearby. If there’s no one nearby, you might be able to get help remotely (from me or someone else). If you’re truly stuck and don’t have the money for help, it might be safest to rehome the kitten. It’s just not worth the risk.